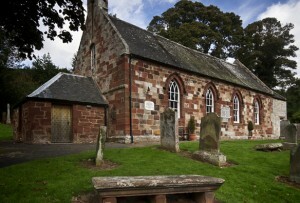 Garvald and Morham villages both have a Church, with a minister running services alternating weekly in each location. The minister, Rev. John Vischer, also attends to the West Church in Haddington. There is a Sunday School for children of all ages and coffee is served after each service. Communion is celebrated on the first Sunday of March, June, September and December. Other highlights of the church year include the Christmas Eve Carol Service and the Maundy Thursday Service. Visitors are welcome. Church Services are at 9:30am, alternating between Garvald and Morham Churches. All are welcome! Requests for prayers can be placed in the prayer boxes in the church foyers. We are currently developing a project to repair Garvald Parish Church. With parts of the building dating back to the 12th century, the church is in need of some tender loving care! As part of the project we are looking to gather memories of both the church and of life in Garvald. We are also planning to set up a Friends Group to manage this project and ongoing management of the church building in the future. If you are interested in receiving updates on the project, or have memories that you’d like to share, please get in touch via the website contact form. Please click here for a copy of our Garvald Church Friends Privacy Notice. 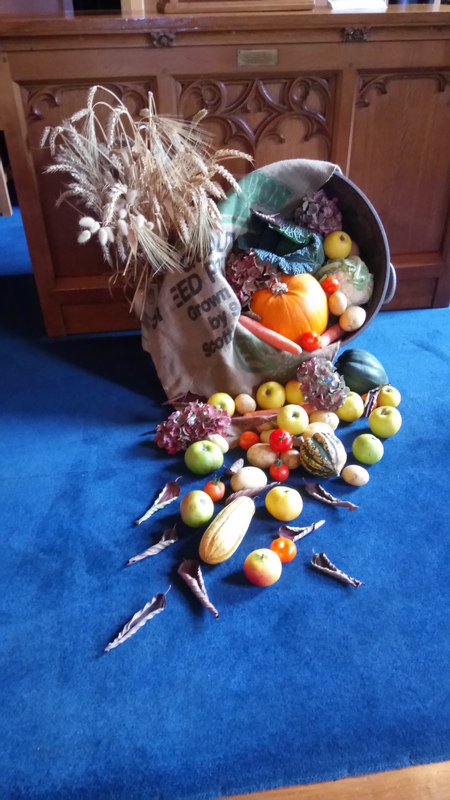 John Sheldon always creates the beautiful Harvest display for the church, using an old barrel that was used to measure a bushel of grain. 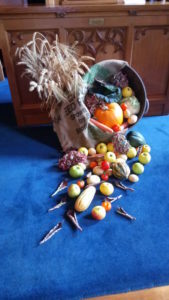 It came from Garvald Mains Farm and was given to the church by Robert Hamilton. The white cross is displayed at the Remembrance Service in Morham Church. 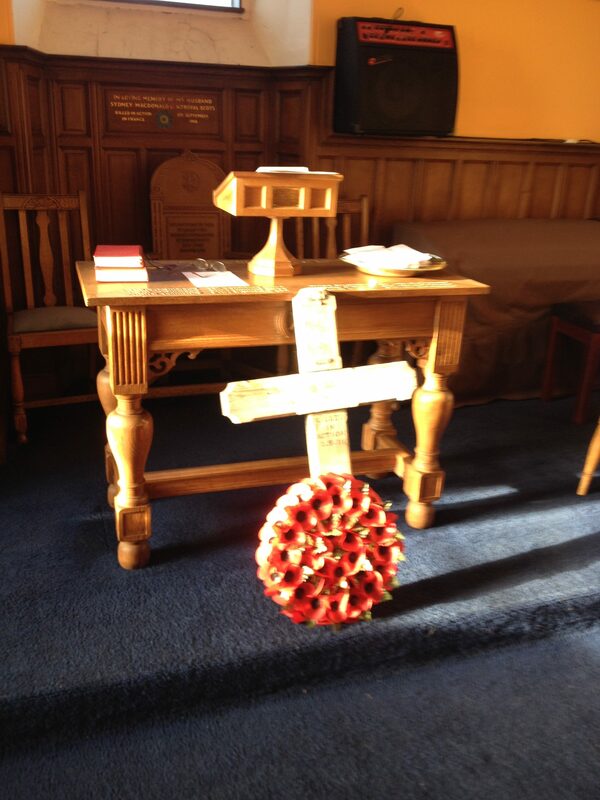 It was brought from a WW1 graveyard in France and is in memory of Sydney MacDonald who came from a farm in Morham. 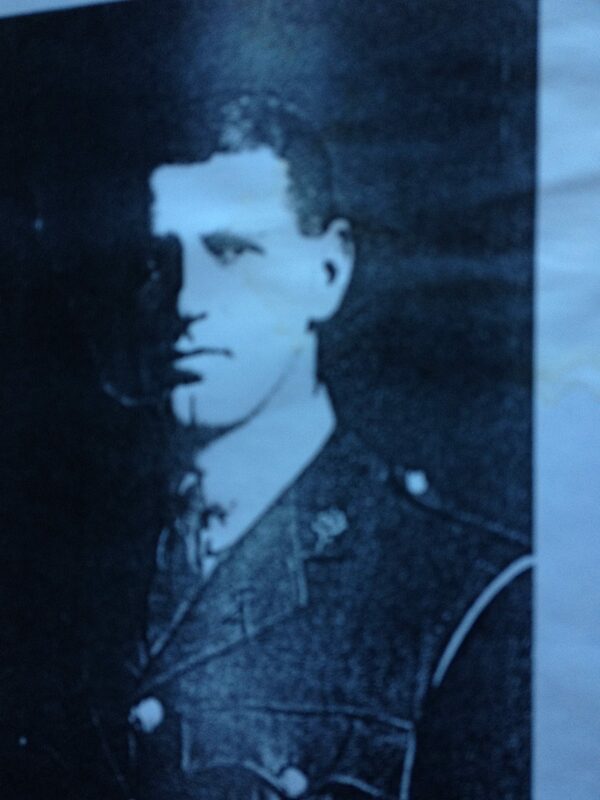 He died in action in September 1918. When the graveyard in France was being relocated, the authorities contacted Sydney MacDonald’s family to give them the cross and they subsequently donated it to the Church.